It is with great pleasure that we introduce you to the work of Australian artist today. Perhaps for some of you the name McEwan rings a bell, and that could be because we’ve previously featured the work of Syliva’s outrageously talented interior designer daughter Simone McEwan. Yes, the talent runs deep in this family. Born in Melbourne, it was following a move to Sydney in the 80’s when Sylvia began her artistic exploration. At first she worked in sculpture with marble and limestone, while undertaking an extensive study of life drawing at the same time. After moving to Brisbane, she completed her visual arts studies majoring in sculpture, and under the direction of and Joe Furlonger began an interest in painting. This year, Sylvia set out to reintroduce sculpture back into her work, so her metal wall assemblages were born. 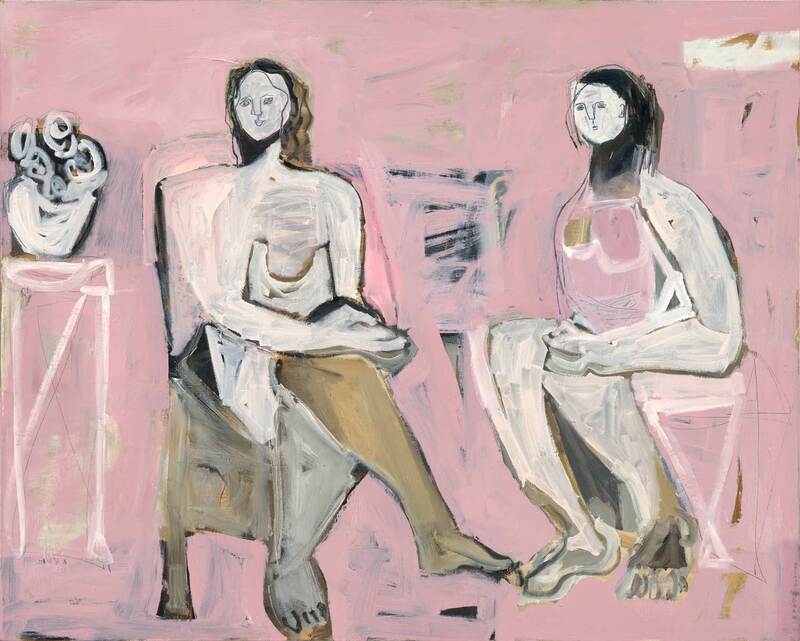 Throughout her career, Sylvia has worked in all painting genres, moving between the abstract through to the figurative. Since 1996, she has had 16 solo exhibitions throughout Australia as well as the UK. Her work is held in private collections in Australia, London, Europe and USA. 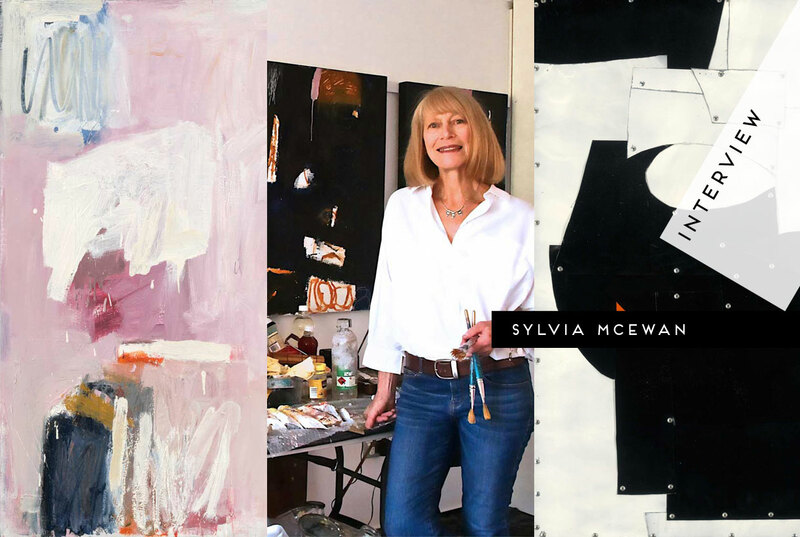 Read on for a more intimate look at Sylvia’s work in our Q&A below. 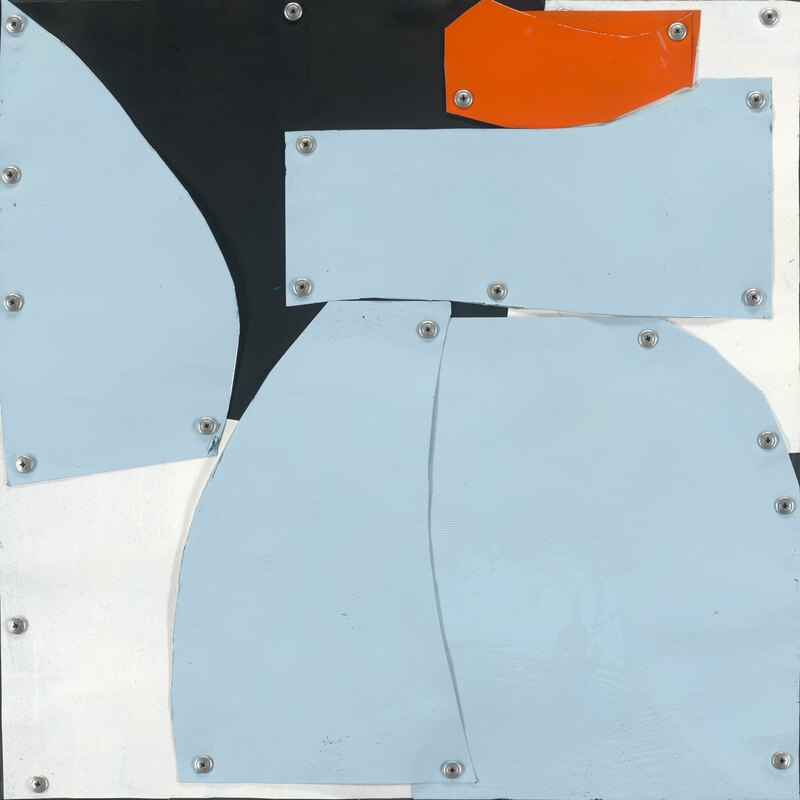 ‘Blue and Orange Abstract,’ enamel on aluminium on board. 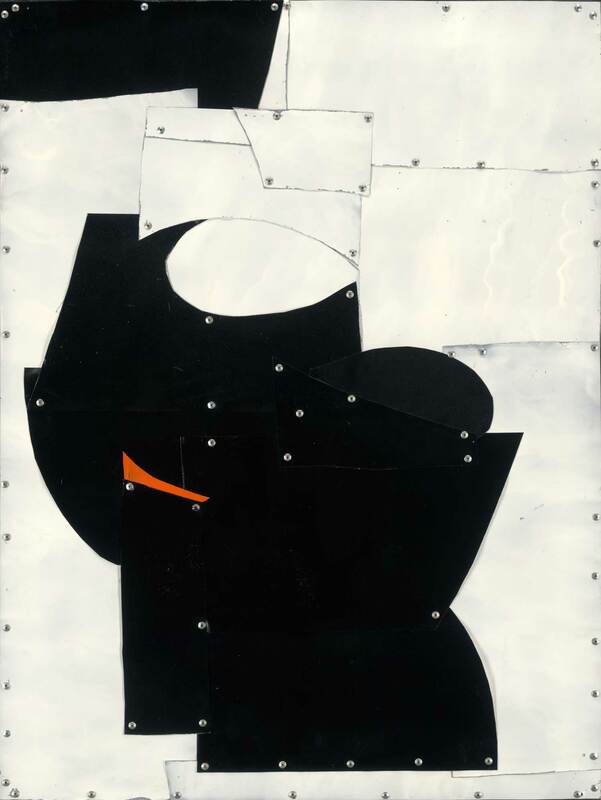 ‘Black and White Still Life,’ enamel on aluminium on board / Selected finalist in the Eutick Still Life Award 2014. Hello Sylvia, welcome to Yellowtrace. Could you please tell us a little bit about yourself – what is your background, and when did you first decide you wanted to become an artist? My foray into art started with sculpture. I liked the physicality of it, creating with your hands. Looking at things in the three dimensional. With formal sculpture came lots of life drawing. My figurative paintings have since developed from these earlier sculptures. What are you seeking to portray in your work, and what do you hope for people to take away from it? In each painting I try to achieve the perfect balance of colour and form. Very rarely am I satisfied. It is always the next painting that perhaps is the one. That’s what keeps me painting. I hope people will stop and look and find in the works something they resonate with. Maybe contemplate and engage, react in some way to what they see before them. 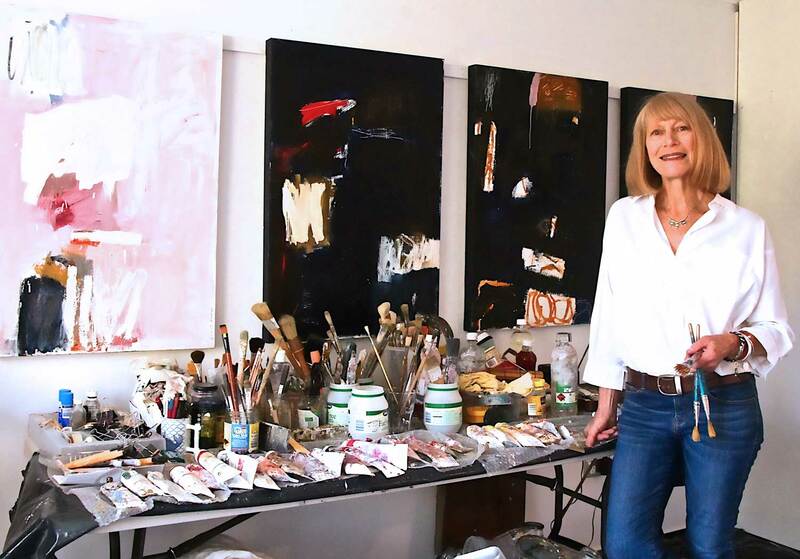 Sylvia McEwan in her studio. 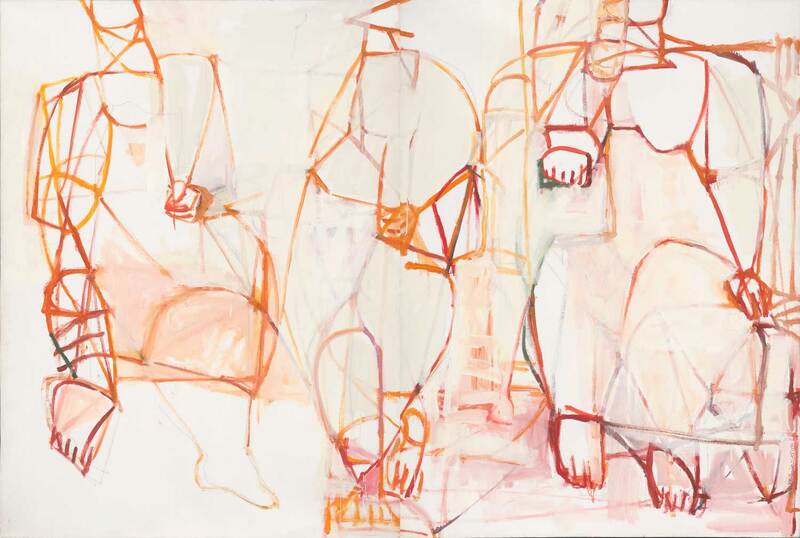 “Drawing on referenced as diverse as Classicism and Cubism, my work shifts between the figurative and the abstract. Although it evolves from the representational and moves through to the abstract, my work retains the influences and inspirations from which they were conceived. 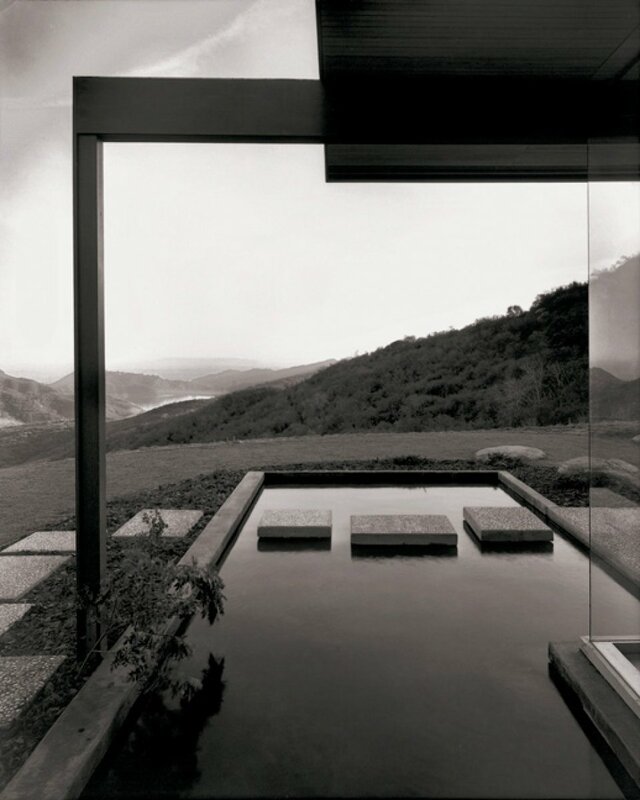 Whilst the subject matter is important, the true subject is always; space, form, structure and balance” – SM. ‘The Three Graces, Series 1,’ oil on linen. 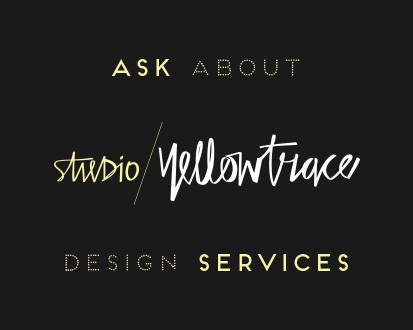 Recently your art has taken on a new direction with colour and materiality. Could you tell us how this come about? I have been working predominately in painting over the last few years. But during this year I wanted to reintroduce sculpture back into my work. Combining both sculpture and painting evolved into my metal wall assemblages. My use of colour in painting is quite different from the colour I use on the metal assemblages. On canvas/linen, paint takes on a fluid form. There I try to push it around as much as I can. Whereas the metal assemblages colour is hard edged. I find that interesting and challenging working colour so differently within each medium. 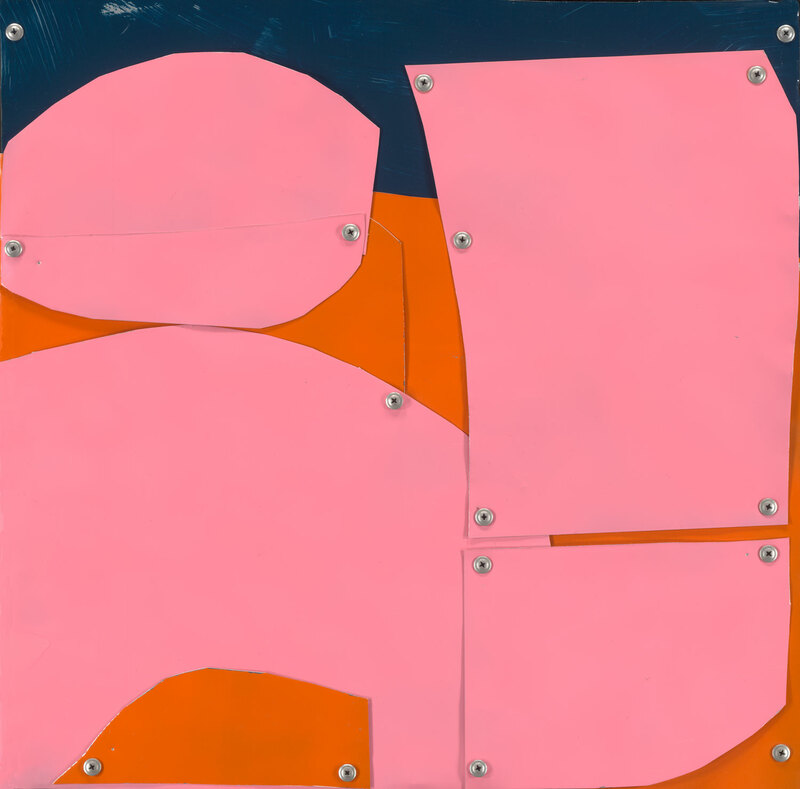 ‘Pink on Orange Abstract,’ enamel on aluminium on board. 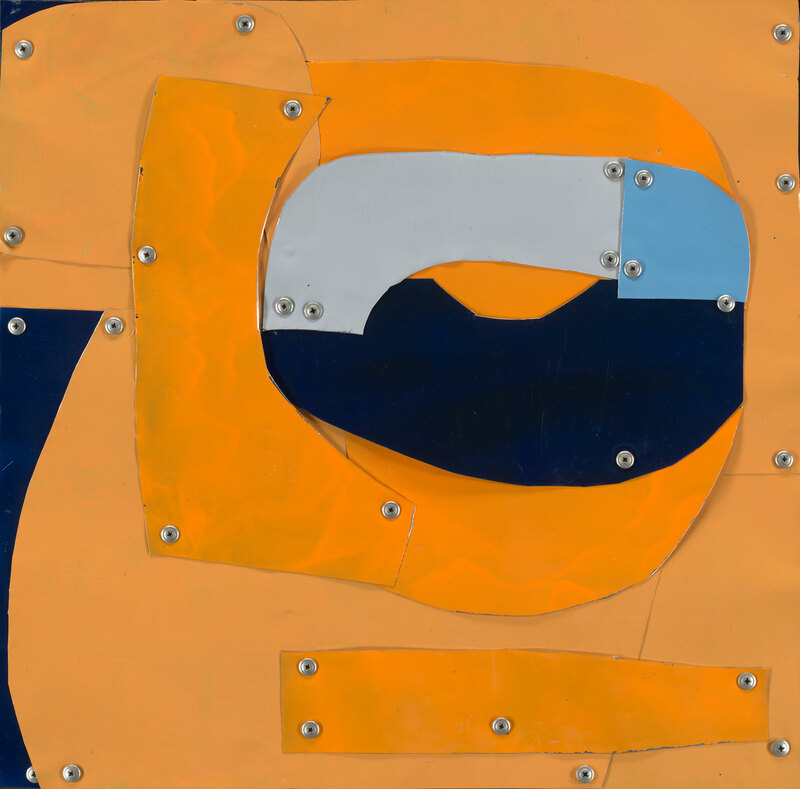 ‘Blue on Orange Abstract,’ enamel on aluminium on board. 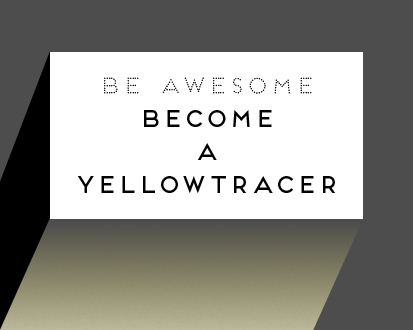 You use the most delicious colour combinations in your artworks. Can you tell us about the significance of colour in your work? And are your pieces planned from the outset or do they evolve organically? Coming from sculpture where colour didn’t play such an important role, I spent a year just experimenting and understanding what I wanted from colour. Now colour is intrinsic to my work and will always play a dominant role in the concept of each piece. I look for colours that sing when placed next to each other. That is perfection. It’s what I strive for in each painting. It doesn’t often happen, so I start the next. Generally speaking, my work evolves intuitively as the painting progresses. I don’t work from sketches. I build up the painting one brush stroke at a time. Each brush stroke leading to the next. To start with, I might have some fleeting feeling in mind. It may be a colour I want to put down, or just a hint of an idea. Little by little, the forms begin to take shape. I let myself be led by what takes place on the canvas. Instinct and intuition take over. And it is in this manner the painting will then develop. 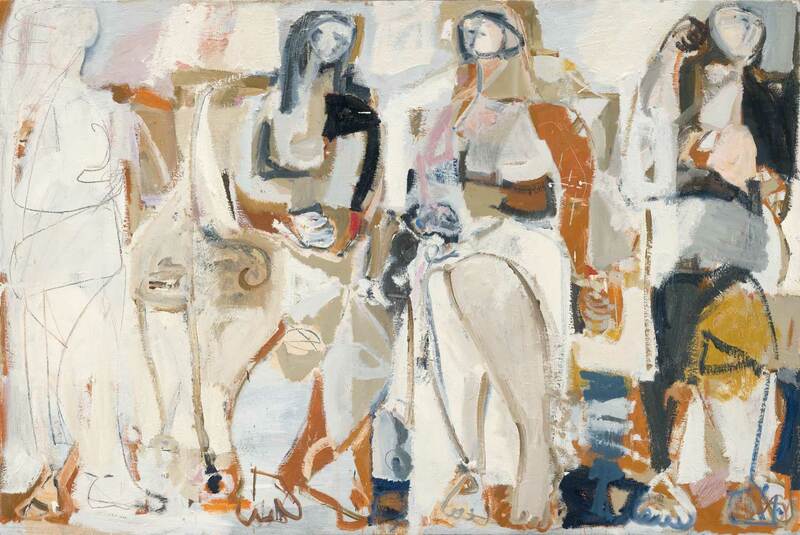 ‘Five Bathers – A Homage,’ oil on canvas. Left: ‘Grey on Black Fild,’oil on canvas. Right: ‘Pink Field with Green Edge,’ oil on canvas. Who or what are some of your influences? What other artists and creative’s in general do you admire? My artistic development has been fuelled by the love for the New York School of Abstract Expressionists, especially strong figurative work. Also the work of the San Francisco Bay figurative artists, in particular and of course the genius of , and who early in the 20th century broke all the rules and paved the way for modern art. I greatly admire creative artists that move easily between their fields. Le Corbusier, the creator of the new architecture that changed the course of the 20th century, was also a talented painter. His paintings emphasised clear forms and structures, which corresponded to his architecture. , the Italian architect and furniture designer. Every piece of furniture that I love, always seems to be designed by him. His lines are clean and the most modern of modern, yet perfectly functional and beautiful to look at. of the fashion brand . Setting trends rather than following them. She is as well a serious promotor and collector of contemporary art. ‘The Conversation Series 1,’ oil on canvas. 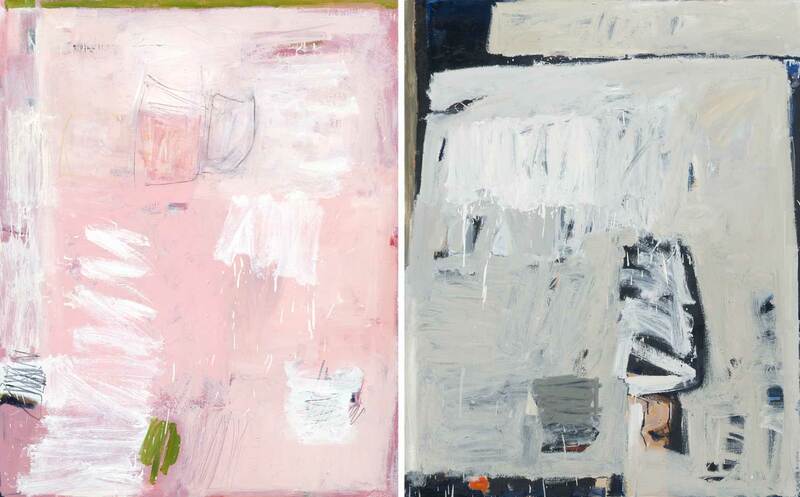 Left: ‘Untitled #1,’ oil on canvas. 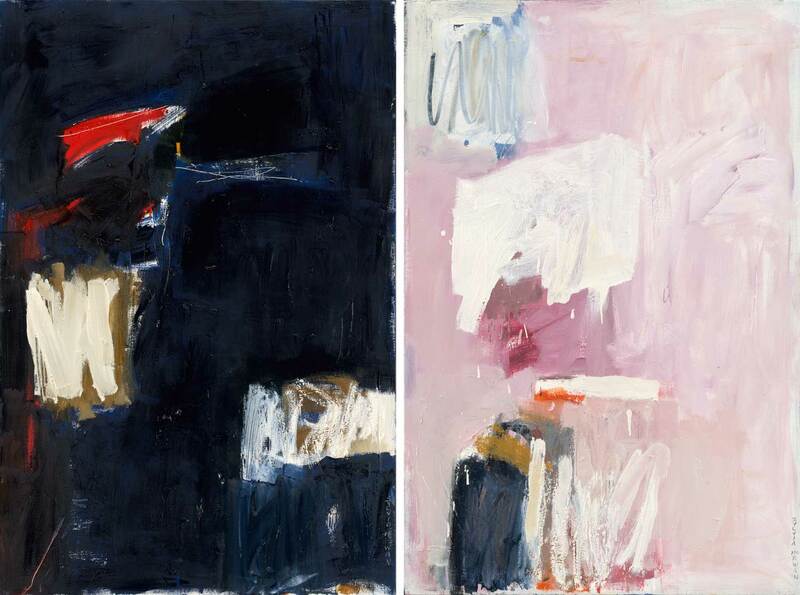 Right: ‘Untitled #5,’ oil on canvas. “My life is full of mistakes. They’re like pebbles that make a good road” – A quote from who died age 105. One of my earliest sculptures that I did of my daughter. ‘The Conversation Series 11,’ oil on canvas. 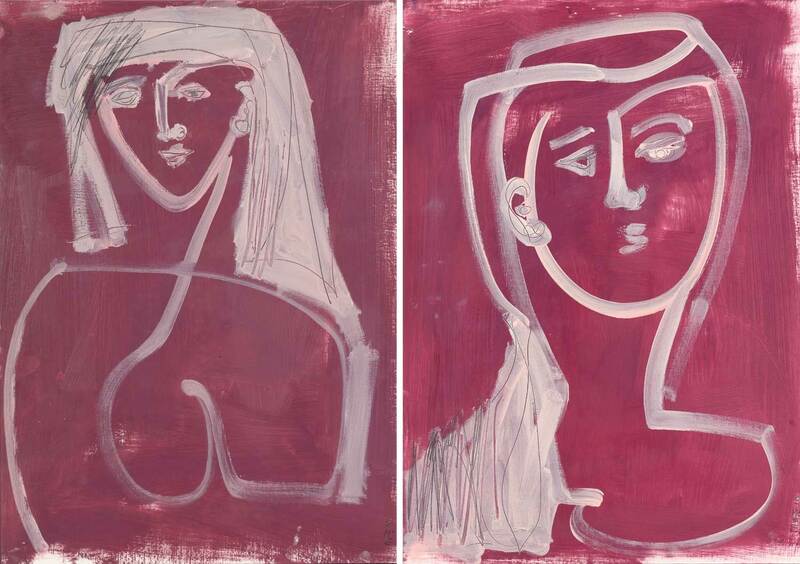 Left: ‘Woman #1,’ oil on paper. 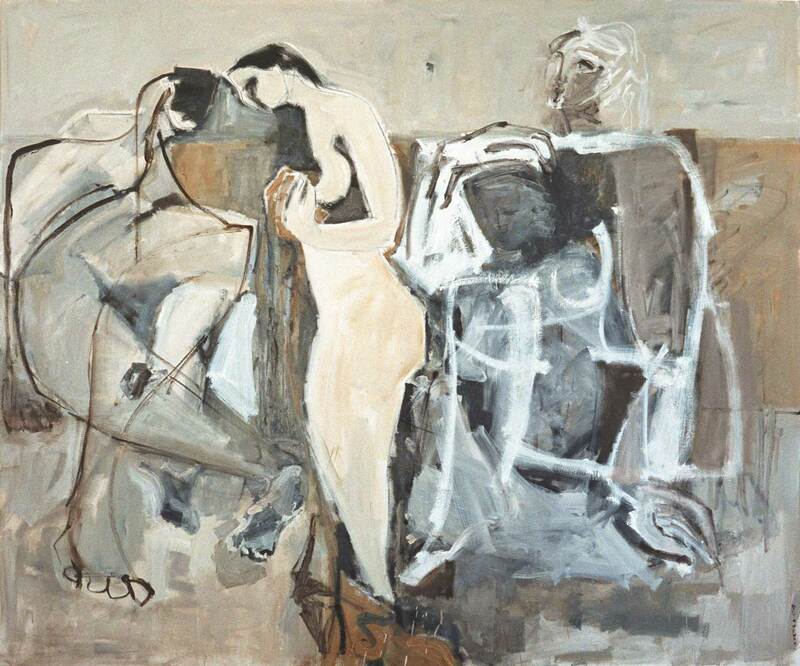 Right: ‘Woman #2,’ oil on paper. What’s one thing other people may not know about you? I wanted to be a ballerina, when I was young. But after many years of practice, I realised that I did not have the talent or discipline to cut it. The satisfaction of putting together an IKEA flatpack!! 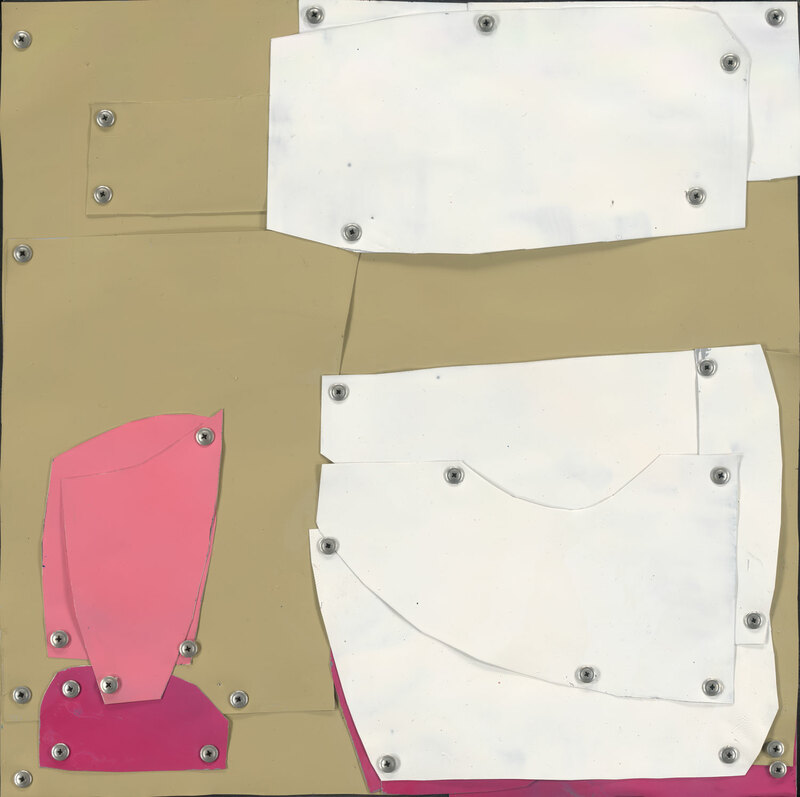 ‘Pink on Green Abstract,’ enamel on aluminium on board. Video // Mind-blowing Installation ‘Mind Art’ by Jody Xiong.